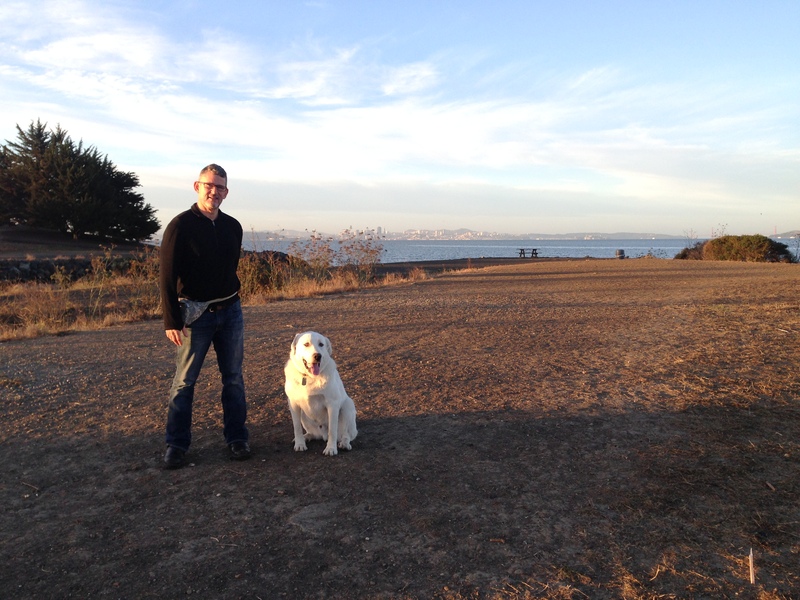 Within a month or two of Klondike’s addition to our household we discovered Point Isabel, the world’s greatest dog park. And once at PI it didn’t take Klondike long to make the most of the swimming, mud wading, dirt-and-grass rolling opportunities at the park. 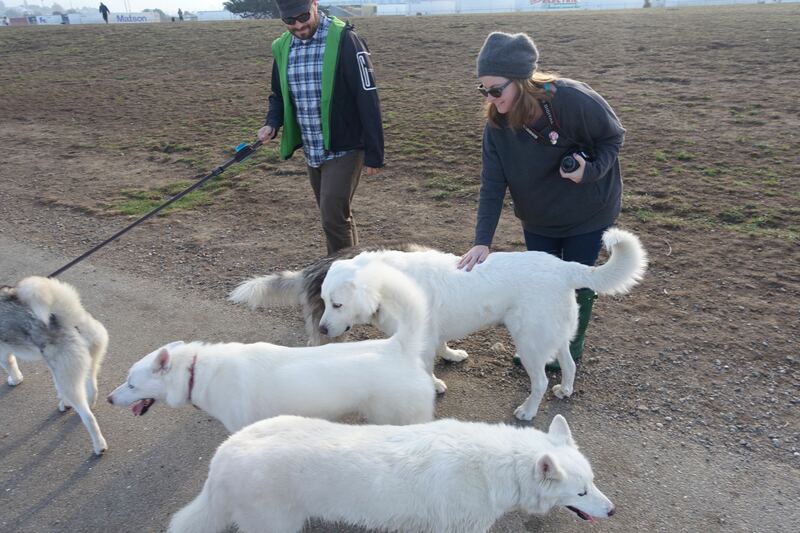 And a muddy Klondike led us straight to Mud Puppy’s, Point Isabel’s on-site dog washing business. And at Mud Puppy’s, Klondike instantly selected Kate to be his personal fur care artist. That was nearly two years and at least fifty washes ago. Today Kate announced that she was moving on to focus on painting. And she surprised us with an incredible parting gift. This oil portrait of Klondike. I think she’s caught him perfectly, right down to ears. And this is the artist with Klondike. Kate – speaking for Klondike, as well as myself and Mieko, Thank You. We will all miss you very much at Mud Puppy’s and wish you much success as you apply your considerable talents to canvas. Regular readers of this blog know that Klondike choose to ignore his recall command on Wednesday, the day before Thanksgiving. Happy to report that by Thursday he had decided to redeem himself. Of course, his tail is still going to Extreme Recall starting tomorrow. Welcome to the Point Isabel version of Where’s Waldo! Quick!! Which one is Klondike? Nothing Says “Home” Like Parking The Beast! Got back from Japan yesterday and celebrated my return to the US early this morning with a Klondike and Mieko Point Isabel dog park romp. I know in my heart-of-hearts that if left entirely to his own devices Klondike would probably prefer Pet Food Express to the dog park (seriously, he loves the place.) We let him off leash and he seemed to have fun playing pick-up tag with some of the other dogs, digging at a gopher hole, and going for a brief swim followed by a long shaking session. 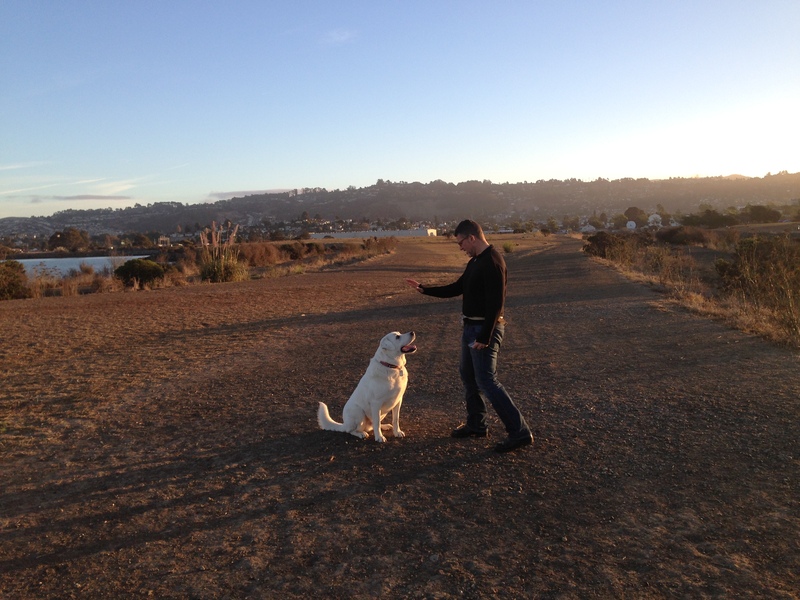 Chris, his dog walker, takes him to Point Isabel three times a week but since he’s made a habit of entirely blowing off her recall commands (usually with delighted, laughing, Dogbert like tail wags) he has lost off leash privileges with her. Perhaps he’ll figure out the error of his ways but I’m not holding my breath.